Val Eliot is working on an English farm during the war when she meets Mike, a U.S. Air Force pilot stationed nearby. The two become close, and after Val rescues a border collie named Peter Woodhouse, who is being mistreated by his owner, she realizes the dog would actually be safer with Mike. Soon Peter Woodhouse settles into his new home on the air force base, and Val and Mike fall deeply in love. But when a disaster jeopardizes the future of them all, Peter Woodhouse brings Ubi, a German corporal, into their orbit, sparking a friendship that comes with great risk but carries with it the richest of rewards. 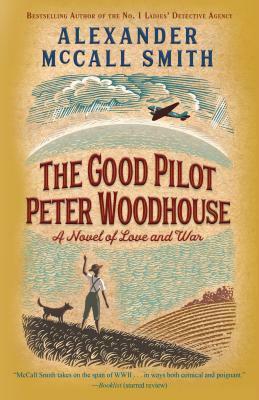 Infused with Alexander McCall Smith's renowned charm and warmth, The Good Pilot Peter Woodhouse is an uplifting story of love and the power of friendship to bring sworn enemies together. ALEXANDER McCALL SMITH is the author of the No. 1 Ladies' Detective Agency novels and of a number of other series and stand-alone books. His works have been translated into more than forty languages and have been best sellers throughout the world. He lives in Scotland.